This is our last installment in the "Publishers" series (for this go-around at any rate!). This week I've been talking about publishers that really stand out to me as producing consistently good reading materials. This is a children's book publisher that makes my list! I've talked about Sleeping Bear Press books before. 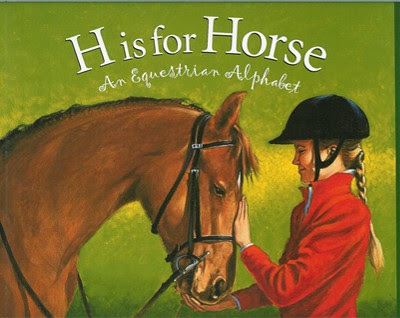 They are most well-known for their Alphabet State Books (which I reviewed over at 5 Minutes for Books). They do the state books well, but they publish a great deal more than just that series. They have a Discover the World series as well as many other story picture books. Two of those books have to do with family and are quite cute. Recently I was given the opportunity to read Say Daddy! in which every relative of baby bear is trying to share their world with baby bear. 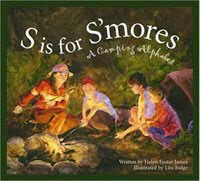 The book opens with mommy bear, cuddling and snuggling with her littlest new one. She reads baby bear a book about love, kindness, caring and life. Daddy bear comes home from work and takes over, reading baby a book about promises and how daddies make dreams come true. Brother takes a turn reading baby a book about friendship and so on and so forth as all of baby's close family tell him how much they love him. Everyone is also, of course, waiting to hear what baby's first word will be. Can you guess? Well, you'll have to read the book to find out, of course! The illustrations by Teri Weidner are soft in nature. They are warm and inviting and a great compliment to the story. 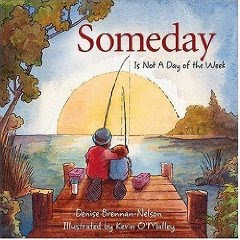 Another picture book which is offered by Sleeping Bear Press is Someday Is Not A Day of the Week . 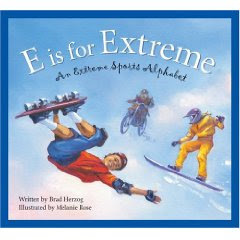 If ever there was a picture book for parents to read - this one is it! Max is a little beaver, excited about life and just wants to play and play and play with his mommy and daddy. He knows he's loved but every time he asks to do something they say that they would be happy to do it - someday. Eventually Max points out the fact that someday is not exactly a day of the week, so when exactly were they going to have grand adventures playing? As parents, it is easy to get caught up in the responsibilities of life. There are jobs to work, dishes to wash, phone calls to make, activities to plan. In all of that, it's easy to lose sight of the fact that there's usually a little person standing right next to you that doesn't really care about everything on the "to do" list. They are happiest just playing and being with you. I know I need this reminder and I so I thought this was a great book. Someday is NOT a day of the week. As people have said, childhood goes by quickly and we should make the most of the time we DO have with our kids. 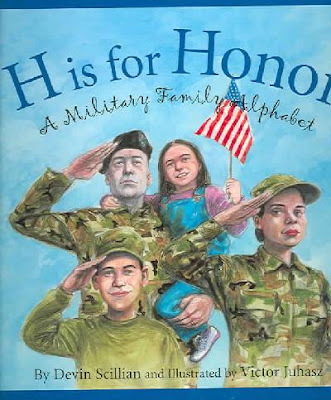 Thank you, Denise Brennan-Nelson for writing this book and to Sleeping Bear Press for publishing it. See my review of P is for Pilgrim. See Dawn's review of The Listeners over at 5 Minutes for Books. Sleeping Bear Press has a very large catalog of books and you can browse their catalog by clicking here. You might be surprised by what you find! We came home from the library with "H is for Home Run" for my baseball obsessed 6 year old. It great! Tells all kinds of information about baseball without that encyclopedia feel. We liked it so much I bought copies for us and a friend. We also own "R is for Rhode Island." I liked that it included lots of little things that only residents of RI would know about. BUT I wish they had explained them a little more. Somethings were in the illustrations but not explained in the text. Non-RI people wouldn't understand why they were included. I also bought "M is for Mayflower" this week! It's about Massachusetts not the Pilgrims. I'm giving it as a gift to a friend who recently moved to MA (hopefully she won't see this before I give it to her!). 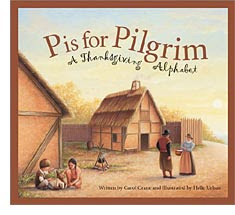 I know you loved "P is for Pilgrim" but I felt it kind of jumped around a lot in telling the story of the Pilgrims. My kids found it a little hard to follow. Though the info and illustrations are terrific. I'm not meaning to sound critical. Just a few minor things I wish were different. We really do love these books!!!!!! In fact, I've started looking for them. I adore SBP-- they have such a diverse selection of meaningful books, and the folks there are super friendly and generous with the giveaways!! 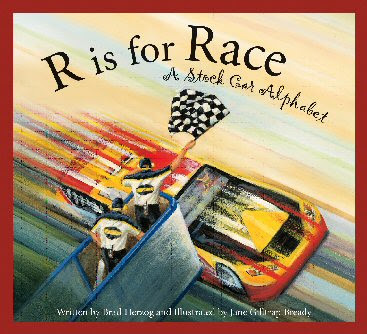 I'm loving this list of alphabet books. Must check them out soon :). Thanks, Carrie. I've seen so many great reviews of their books - they just seem so educational. I'll have to check out at least one and see for myself!